Was 34 years at the time of selection. Calls Sugar Land, Texas, home. 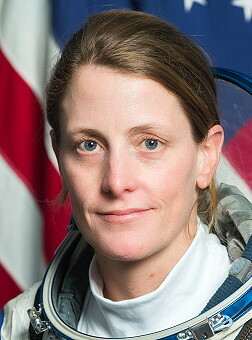 She earned a bachelor's degree in aerospace engineering at the University of Kansas and a master's degree in aeronautics and astronautics from Purdue University. As a student, she participated in NASA's KC-135 Reduced Gravity Student Flight Opportunities Program, the NASA Academy at the agency's Goddard Space Flight Center, and the internship program at NASA's Jet Propulsion Laboratory. O'Hara is currently a research engineer at Woods Hole Oceanographic Institution in Woods Hole, Massachusetts. Last update on September 19, 2018.